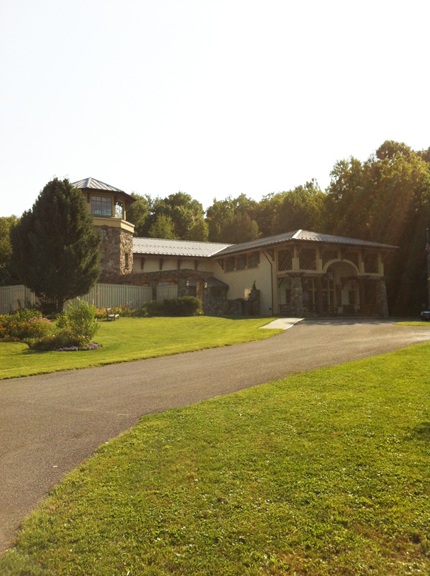 Go up a little hill on Curtis Street in Jamestown, New York and nestled in the woods is a castle designed by noted architect A.M. Stern to house a collection devoted to nature study through art. Here is the collection of artwork by Roger Tory Peterson, along with his library and spaces for invited guests to show their stuff along with a skeleton of a giant bear, and mastodon tusks from an ancient land. If you have ever looked for a guide book to birds, you came across Roger’s book known as the Peterson Guide. It helped everyone get to know and identify birds using a diagnostic system that diagrams the important elements that you see when a bird appears that you may not recognize. In the mid 20th century my father commenced work on the Golden Guide which propelled a larger population of bird watchers, to gather up their binoculars for some fresh air and some sharp observations. I even got in on the act in the late 1970’s – helping my father, Arthur Singer, revise his book for a second revised edition of “Birds of North America“, which was published in competition with the Peterson Guide. You learn a lot about nature when you have to draw from it and be very accurate about what you are doing. This fall I have been invited to be the curator of a show “A Guide to Nature” the Art of Arthur Singer with Alan Singer being held at The Roger Tory Peterson Institute. Included in this show (which runs until December, 2, 2012) are over 70 pieces of original art and some prints which document a long career in the service of art, education and conservation. 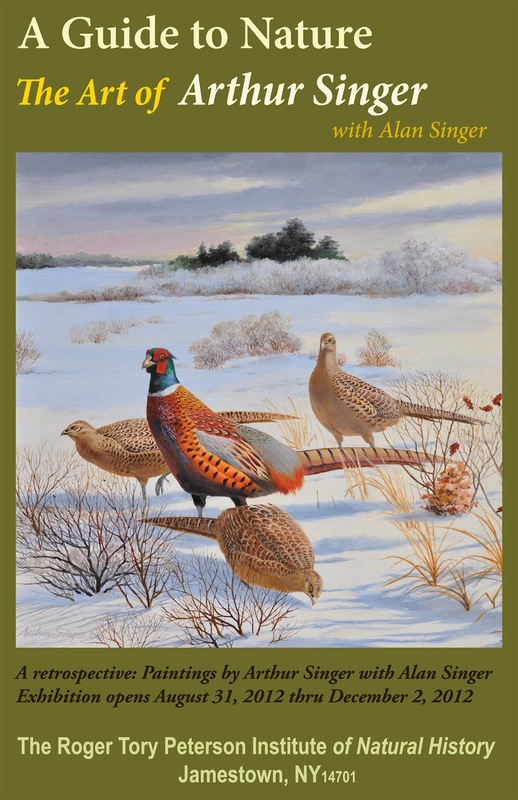 Birds are the primary subjects here as is appropriate in a museum built by and for noted naturalists, and Roger Tory Peterson and my father were friends that depended on each other for advice and counsel. Painting portraits of birds didn’t start or end with Audubon, but continues to this day with a much wider audience, due in part to the artwork of artists like Peterson, and Arthur Singer. This is an art that most people can enjoy, they can see for themselves, and use as an aid in the field. Along with the art of Arthur Singer is another show upstairs that included many paintings of another great pro – the artist Stanley Meltzoff who gained an international following for his paintings of big game fish. He was an ardent photographer who documented sea life, and painted memorable scenes which few of us could witness in oil paintings of robust color and composition. Copyright © 2019 Alan Singer All Rights Reserved.